Instant State Employment Screening Driving Records are often used as the first part of the employment screening process as a seriously questionable driving record may be an indication of more serious issues that would make someone a doubtful employee. It should be noted that MVR'S provided by insurance companies may only be used to determine insurability and are not suitable for use in employment screening as they do not comply with Federal laws that apply to the employment screening process. Moreover, they are instant, so decisions can be made quickly concerning the hiring process. Pennsylvania, Washington State,Vermont and New Hampshire. These states require a specific release which we are glad to provide. Click on the state listed for a driving record release required by that state. In order to speed up the hiring decision process, many employers order a driving first.And since the results are instant, they can quickly decide whether or not to proceed with the hiring process. It should be noted that California requires a driving record can only be ordered as part of of an employment screening background check, so another search must be added to the order. for 3 years or more which may include traffic violations, driving related offenses, and restrictions/suspensions/revocations. 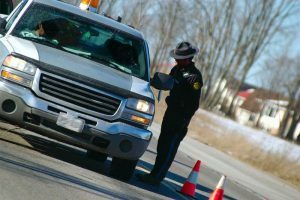 This search may also reveal misdemeanor and felony DUI convictions which are sometimes not included in the criminal histories of all jurisdictions. Driving records are accessed in compliance with the Driver's Privacy Protection Act and various state laws. The Federal Department of Transportation requires CDL (commercial drivers license) drivers to stay in compliance with the Federal Motor Carrier Safety Administration.